OPPO has undergone massive transformations in recent years, to accommodate the drastic changes of the smartphone industry. To ensure that consumers are always satisfied, OPPO constantly looks to improve by innovating. As a relatively young Chinese smartphone company, OPPO has managed to maintain an impeccable sales record. This is due to the marketing strategy as well as the design breakthroughs such as OPPO’s exclusive VOOC Flash Charge and 3D Structure Light technology. Earlier this year, the Find X, a flagship of Find series made its way to Malaysia on 19th June 2018 with its freshly and groundbreaking designs and innovations in the limelight. Hiding the notch and cameras through Stealth 3D technology, the brand showed its transformation of marketing strategy from celebrity endorsements and giving emphasis to its smartphone innovation such as its delicate artwork of gradient colour designs and its one of a kind sliding structure appearance. This improvement wasn’t just limited to its Find and R-series, but also its F-series as well. While others were focusing on competition, OPPO never join the game yet set its focus to innovation. Follow the company core principle of BenFen(本分), OPPO sticks to its principle and creates innovation to accommodate youngsters core requirement and provide more surprises to the major youngsters in the market. Setting its sight in becoming a brand that globally loves, OPPO managed to harvest both good reputation and sales. OPPO ensure its product quality and service to meet current users need. Dare to be different, OPPO changed the phone body colour from mono to gradient ever since its R15 Pro by engaging with Maestro of Colour, Karim Rashid, creating Cosmic Purple and Ruby Red these beautiful gradient colour. Since then, OPPO is gaining its recognition as smartphone’s colour player. OPPO is getting its acknowledgement through its exclusive technologies which they are proud of, such as the VOOC Flash Charge, 3D Structured Light technology, Stealth 3D cameras and sliding structures. Whenever we are tracing the history of VOOC Flash Charge technology, there is one name that shall not forget. His name is Chang Jia Liang, the man behind OPPO’s groundbreaking low voltage fast charge technology (A.K.A VOOC Flash Charge), his invention provides a solution to prevent overheat situation that the high voltage fast charge scheme could not solved. During that time, OPPO was still a relatively small company which has limited resources. Therefore, not every idea and project could get cost allocated during that time. The innovation was projected by Chang and two of his colleague during their off-time. As it is not an approved and initiated project, Chang VOOC project was completely self-supported. Faced a lot of challenges and rejection from suppliers and manufacturers, nonetheless, these never stops him in completing his innovation. 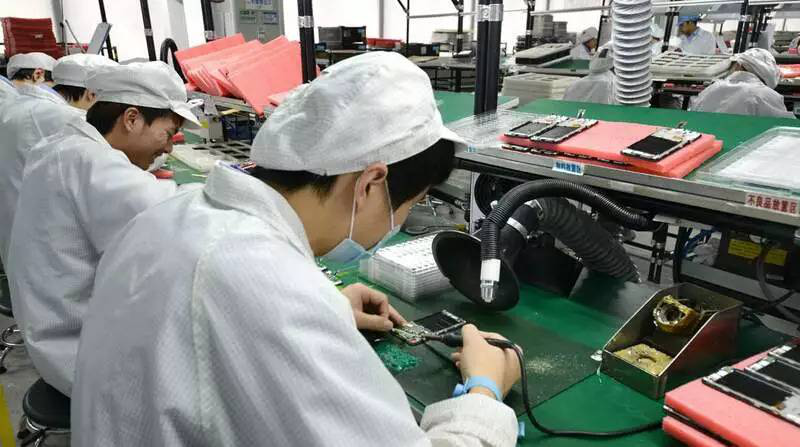 Little did he thinks, when he first presented the VOOC technology, his idea was rejected as it is not common innovation in industries while Qualcomm and Mediatek has their own fast charging solution at that time, thinking to just outsource and apply these existing charging scheme on their smartphone, the company could not see the reason to internally produce their own charging scheme. Luckily, after many strict scrutiny to Chang’s VOOC project, the management has agreed to allow the technology has its first run on Find 7. Chang and his team finally has made a name for oneself during the Find 7 launch by proving his vision and this innovation plays a vital role in rising the brand image overall. In June 2018, during the Paris launch of Find X, Chang and his team extend its innovation further with the introduction of SuperVOOC technology. 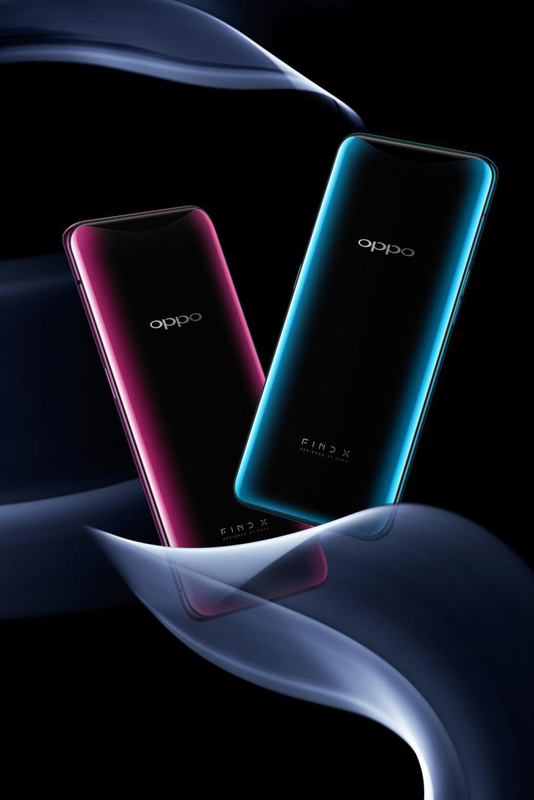 It implicates OPPO has transformed from a Chinese local manufactured company to a company has ability to push forward innovation and creativity. Next, the stealth 3D cameras. 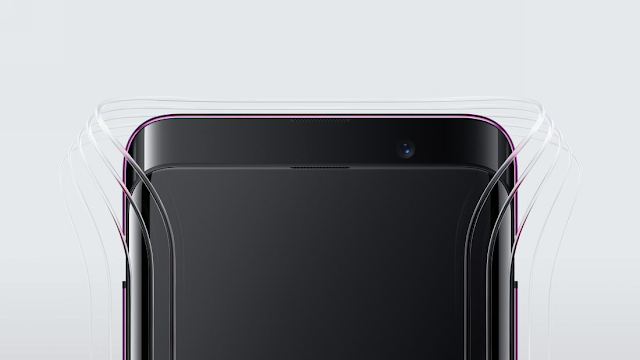 The Find X is the first Android smartphone which features this groundbreaking sliding structure to conceal the cameras and notch, in achieving a great visual screen ratio of 93.8%. The sliding structure of the stealth 3D camera has includes its 25MP front camera and 16MP+20MP dual rear cameras, but also a 3D Structured Light module with many high-tech components such as Flood illuminator, Infrared camera, proximity sensor, Dot projector, Receiver and RGB camera. The 3D structured light module in Find X can project 15,000 dots, building a precise and complete 3D module of a user’s face, and then compares with the registered face of the owner to unlock. The 3D Structured Light Face recognition has a higher level of security than fingerprint identification. The false acceptance rate of fingerprint recognition is 1/50,000, while the false acceptance rate of 3D Face Recognition is 1/1,000,000. OPPO’s developed 3D Structured Light Face recognition makes unlocking procedure safer and faster. 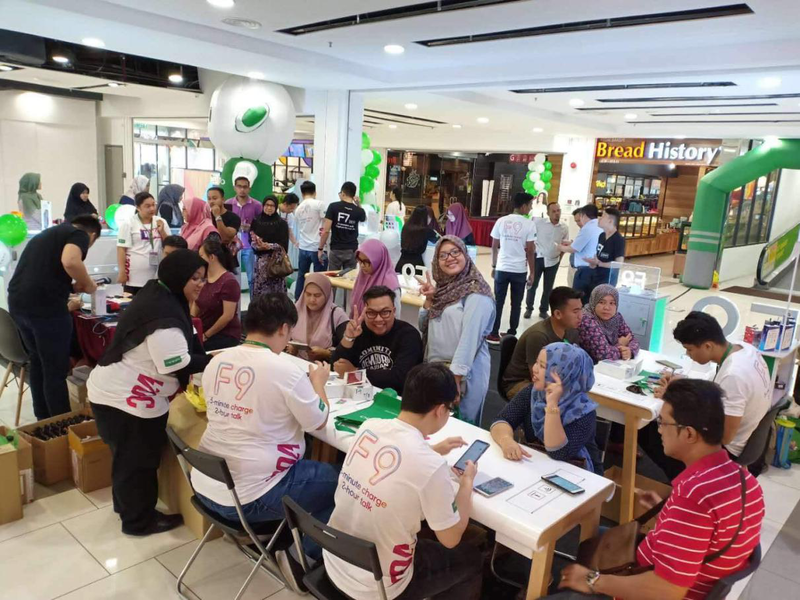 Selling over millions of unit every year, OPPO has entered more than 30 markets with more than 400,000 retail outlets to provide outstanding products and services in different region. Blending with its different region, many lifestyle collaborations had done through local broadcast programme and brands to connect with locals. Shift the sight to Southeast Asia region, the perennial best seller F-series is being well-known to its outstanding selfie capability. Targeting mid-range consumers, the F-series is always the best choice for consumers who is looking for affordable yet comprehensive smartphone. However, OPPO never stops to improve. 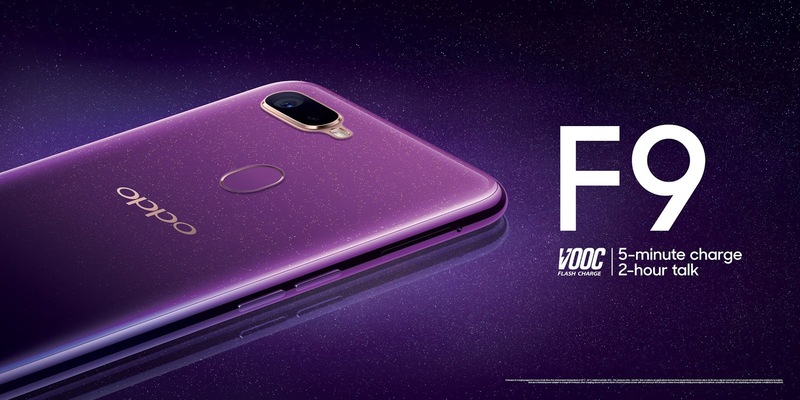 To make sure users can enjoy the best innovation in every range, this time OPPO has featured the VOOC Flash Charge into its latest OPPO F9. It is the first F-series which has VOOC Flash Charge technology and the first F-series which has waterdrop screen design, screen-to-body ratio of 90.8% with unified gradient colour body design. The OPPO F9 is now for RM1399. The OPPO F9 will be available to pre-order from 16th August 2018 till 29 August 2018 either offline at OPPO official concept stores, autorised dealer stores,Celcom Blue Cube, Senheng and senQ as alternatives. or online at the OPPO Official website, Lazada, 11Street and Shopee.